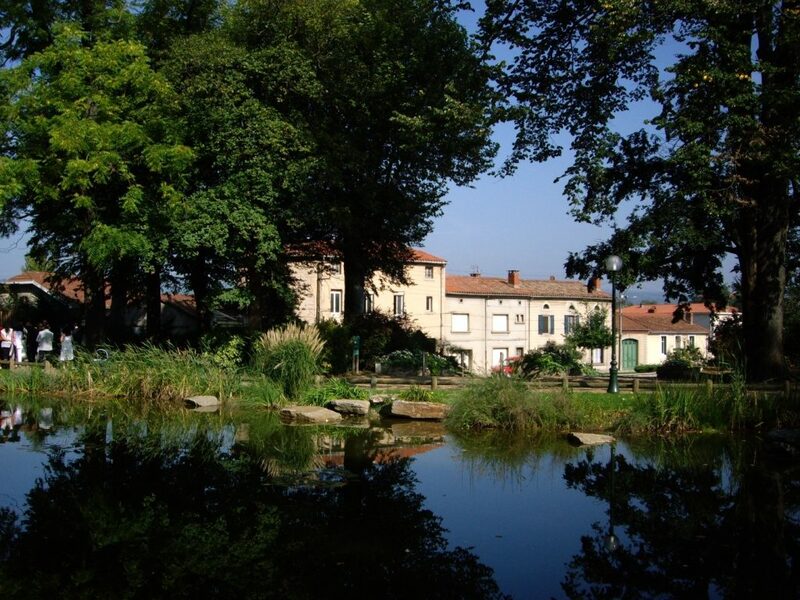 Mazamet (population 14,000) sits in a stunning natural setting at the foot of the Montagne Noire mountain range that rise above the town to 1,200 metres and divides the departments of the Tarn from the Aude. 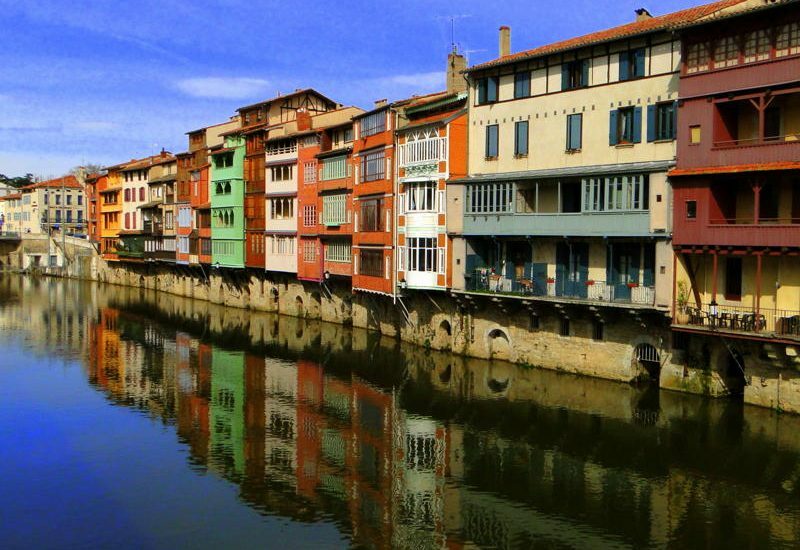 With the Monts de Lacaune to the north of the town, Mazamet is in a valley surrounded by lush deciduous forests, mountain lakes, medieval villages and commanding views from various vantage points. 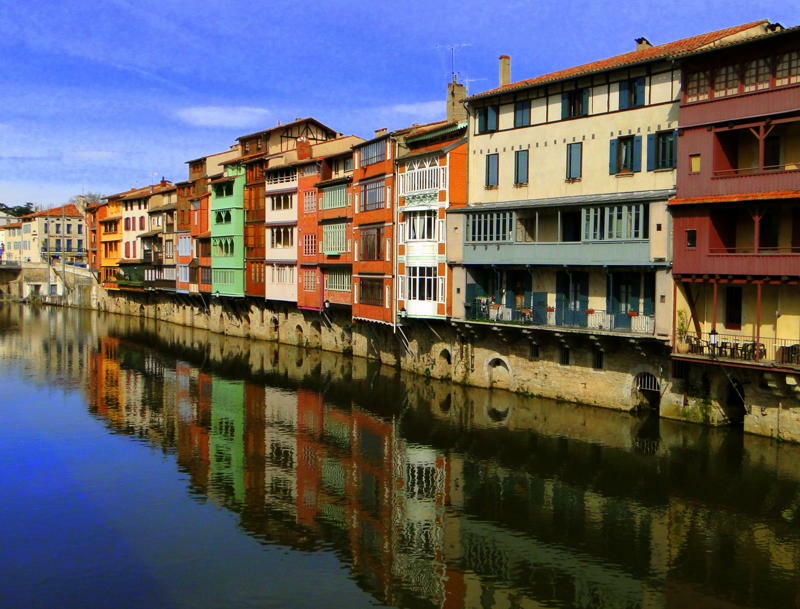 The town itself is a typical French town with good amenities for both visitors and its residents alike. Within a short stroll from the gates of La Villa de Mazamet you can be enjoying a cold drink at a pavement cafe, watching the locals play petanque in the park, or sampling the fresh produce at the market. 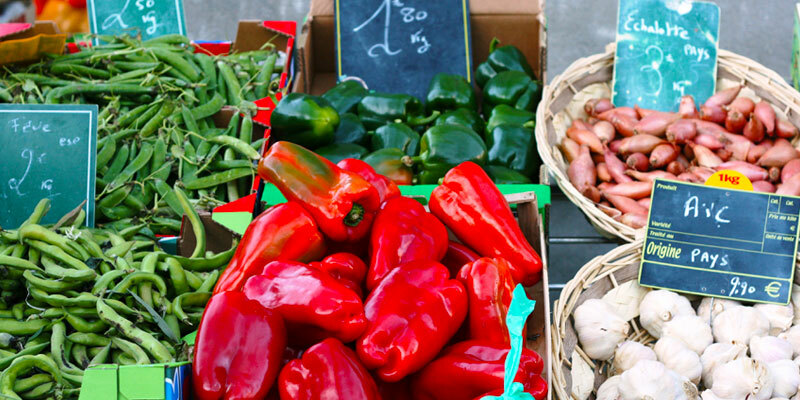 There is nothing quite like a French market for fresh regional produce and Mazamet has three markets each week, the largest of which are on Tuesday & Saturday mornings between 7am and Noon. The Sunday market, for essentials, starts at 9am. The market stalls set up close to the office of the Mayor where there are bars & cafes to sit and people watch and during July & August, a “Producers” market also takes place on Monday evenings where you can buy food & drink produced in the area and sit amongst the locals on a table for more than 200 people. La Villa offers guests a best of both worlds location; a quiet residential area, yet just a 5 mins walk to the town centre of Mazamet where you will find a good variety of shops & boutiques, cafes & restaurants, our office of tourism and parks. Guests staying at La Villa de Mazamet enjoy exclusive discounts in a number of Mazamet’s shops, cafés & restaurants with our free loyalty card. When you arrive, you will receive your card & a map of the Town centre that contains details of the businesses taking part and the exclusive discount they are offering to our guests. In addition to enjoying dinners at La Villa, we can recommend local bistros and restaurants for both lunch & dinner. Many of these are within walking distance, some a short 5 minute drive and, a little further afield (the nearest just 15 mins), we enjoy more than five Michelin Star restaurants who serve some of the best value fine dining experiences in the whole of France! Mazamet, and the surrounding mountains, all sit within the “Parc Naturel Régional du Haut Languedoc” . 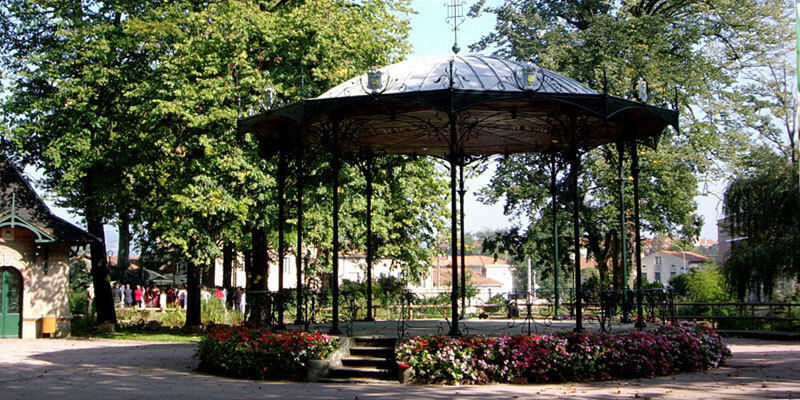 Within the town itself there are many parks & open spaces, the closest of which “Le Jardin des Promenades” is a beautifully maintained park just 100 metres from La Villa. A place to sit and watch a game of pétanque or attend one of a number of events in the adjoining “Palais des Congres”. 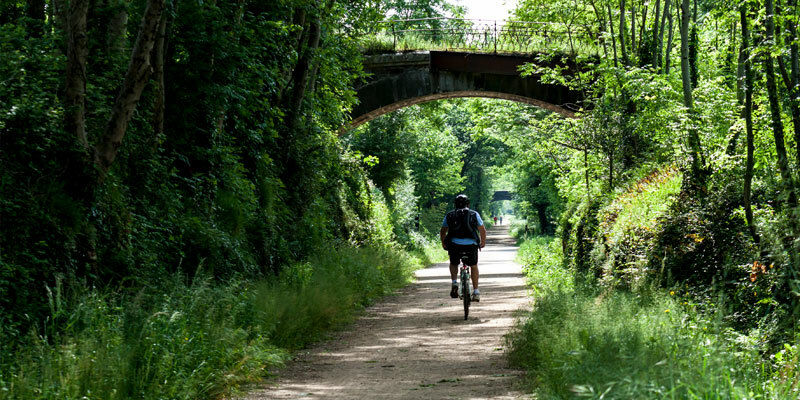 From fantastic road cycling (used on a number of occasions by the Tour de France) to the more sedate “Pistre Verte” (a 65km cycle path using a former railway line) – Mazamet is a cyclists dream! La Villa is located just 200 metres from the start of the cycle path and we can arrange bike hire for one day or the duration of your stay. If you are planning a cycle trip to SW France, either on your own as with a group, take a look at our special cycling leaflet. Mazamet’s natural setting helps provide an abundance of opportunities for both leisure walkers & serious hikers. From the gates of Mazamet you can set off on a number of self-guided walks into the Montagne Noire or use the “Lac de Montagnes” as a base from which to commence one of a number of walks from 5 to 50 km (maps and further information can be found on the office of tourism’s website). 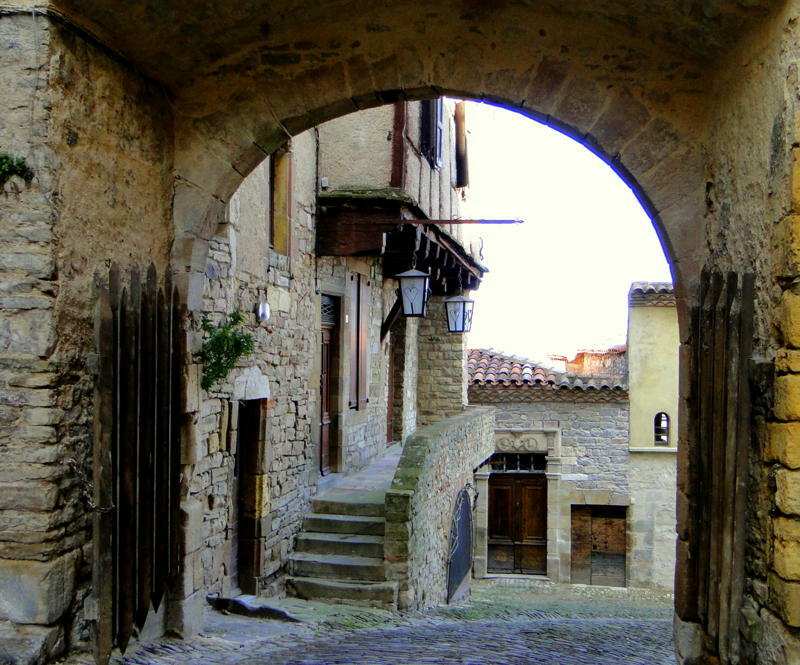 For those who just want to explore the town on foot, two self-guided 30 min walks explain the history and architecture of Mazamet from its wealthy days as the world’s leading centre for processing wool. Mazamet’s “La Barouge” golf club is just 5 km from La Villa and offers a fairly challenging 18 holes with excellent maintained greens & fairways. The backdrop of the Montagne Noire is just stunning and we can arrange tee-times for you with exclusive discounted rates for our guests. The medieval village of Hautpoul clings to the side of the mountains just 10 mins from Mazamet by car (or an hours walk). 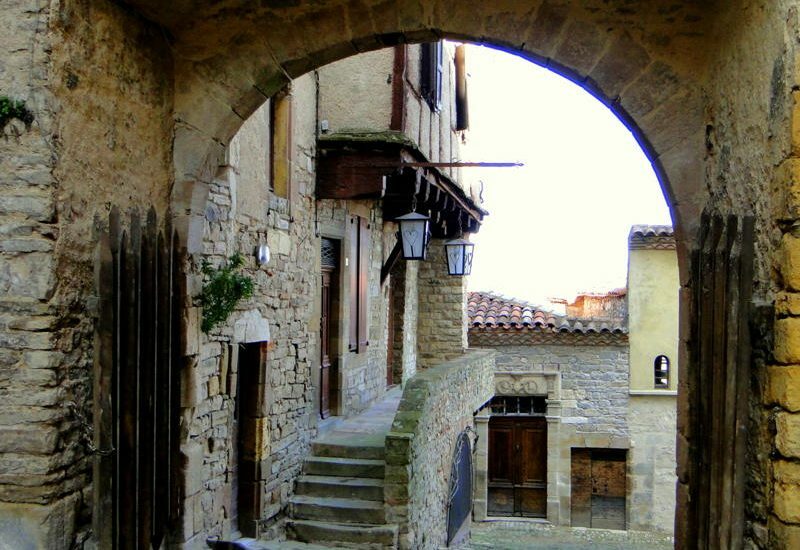 Dating back to the 12th century, and still an inhabited village today, Hautpoul was the centre of Catharisme in the middle ages and played an important part in the sieges that took place in the area around 1209. Today, you can explore the village on foot or take one of the summer guided walks by torchlight organised by our office of tourism. …. 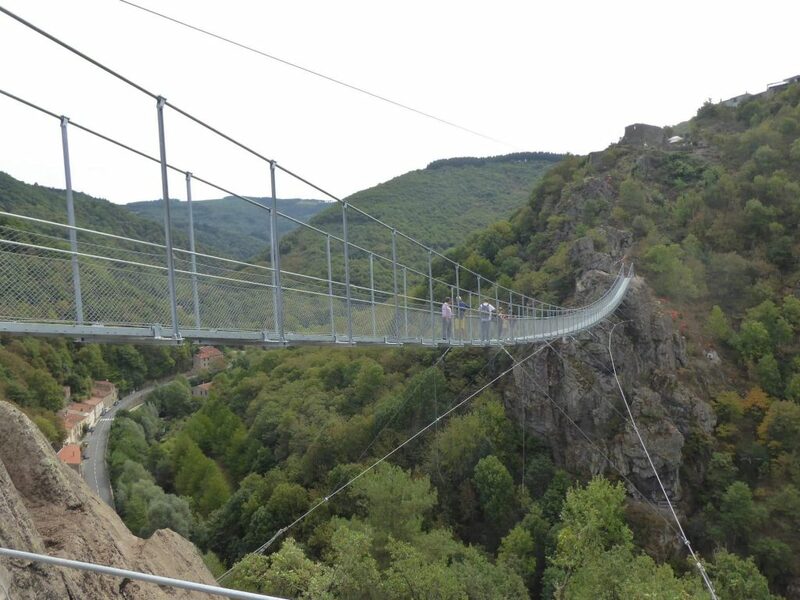 and new (opened September 2018) “La Passerelle”, a suspended walking bridge linking Hautpoul to the medieval ruins of the Saint Saveur church. Stretching 140 metres and 70 metres above the l’Arnette valley below – this is a major new tourism project for the town and a unique attraction in the whole of the Occitanie region of France. 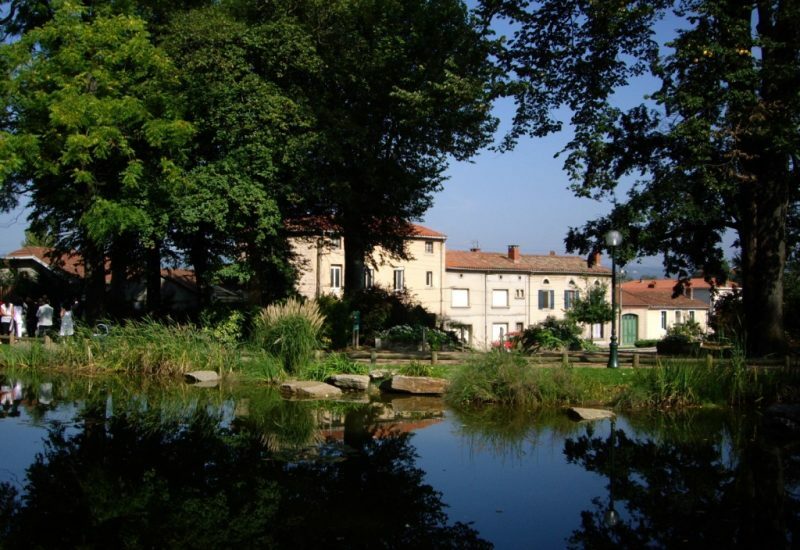 The “Lacs de Montagnes” is set high above Mazamet at 750 metres altitude and its beautiful setting which provides a number of activities (like mini golf & tennis), places to eat & drink, swimming as well as picnic & BBQ areas. A 45 min circular walk is on the level and the lake is a starting point for a number of walks in the Montagne Noire. Why not pick up some supplies from one of our markets and take a picnic with you? (We offer towels and cool bags for your use) and in the summer a twice-daily free shuttle bus will take you 200 metres from La Villa to the shores of the lake.